Well it seems Dave Mustaine must have the power to forgive and forget afterall. Today Megadeth announced the return of founding member, David Ellefson who left the group in 2002 citing personal and musical differences. The last few years have seen the Deth’s main man, Mustaine and Ellefson wage a war of words against each other but it seems things have finallyworked out for the best. 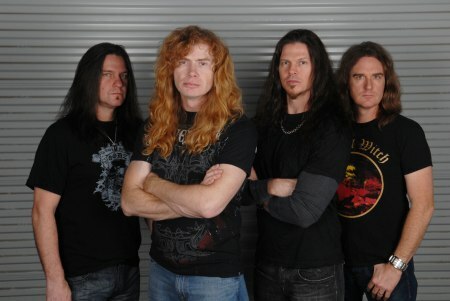 Don’t forget the Megadeth play the Live At The Marquee Festival on June 14th. Tickets on sale now! This entry was posted on February 9, 2010 at 1:42 pm and is filed under Music, News with tags Dave Ellefson, Dave Ellefson returns to megadeth, Dave Mustaine, Megadeth, Megadeth back with Ellefson, megadeth Dave Ellefson, megadeth Mustaine. You can follow any responses to this entry through the RSS 2.0 feed. You can leave a response, or trackback from your own site.